Right now, millions of people in the UK regularly experience hunger. Yet tonnes of fresh food are thrown away every day. Inspired by Felix, we set out to change this. No one should have to miss a meal. In our capital city, thousands of children go to school hungry each morning. Young mothers skip meals to feed their families. Elderly people are malnourished and those with a mental illness are often ignored. The Felix Project collects fresh, nutritious food that cannot be sold. 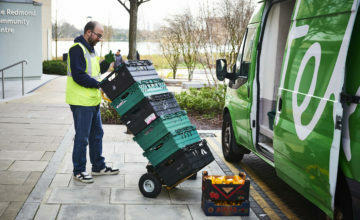 We deliver this surplus food to charities so they can provide healthy meals and help the most vulnerable in our society. "We get fresh produce. It’s like it’s off the farm because the quality of the food is so good and so fresh!" "There is great camaraderie in the team and whether I'm out in the van as a co-driver or helping in the warehouse, I finish my shift with a smile on my face." "I volunteer as a co-driver at least twice a week and feel so privileged and so happy to work with the best team of people from many different backgrounds, nationalities and professions. This is a most fulfilling and heart-warming new chapter in my life." "The charities all rely on us, and I know this personally as I work for one of the charities we deliver to. I cook the food on Tuesday that Felix deliver on a Monday. The job needs doing and I’m very happy to be a part of Felix." "When I saw the ad in the Evening Standard late last summer I immediately knew this was the kind of volunteering I wanted to get involved in. The wonderful food we pick up is far too precious to be thrown away, and so it makes sense to distribute to different charities. So rewarding - can’t get better than that!" "As I retired recently I started helping out on the Felix Project in West London. A worthy cause that came from a sad event. I love the work and the people are fun and I enjoy spending a morning or afternoon giving something back to the community." "I am a retired person with too much spare time on my hands and this volunteering opportunity gives me something useful to do, as well as the chance to meet new people." "There is so much food wasted every day when there are people all around us who are hungry. 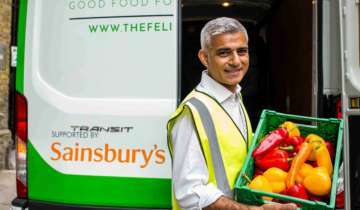 Collecting surplus food donated by supermarkets and delivering it direct to other charities, who then use this food to make meals, is such a simple but brilliant idea." 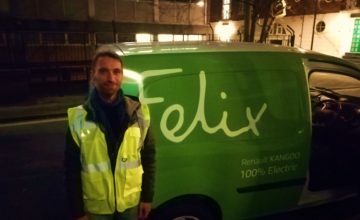 "Finishing a shift at the Felix Project, it really feels as if you’ve done something worthwhile, as if you’ve made a contribution - and it makes you feel good about yourself." 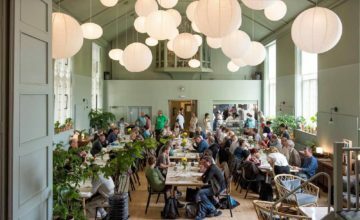 "You know that food is going to come on a certain day, and you don’t have to worry so much"
"We've donated to the Felix Project for some time now and find them really easy to work with. You'd barely know the arrangement was in place once you've got into a routine." "Volunteering has enabled me to obtain a good understanding of what happens to unwanted food from wholesalers and retailers in an urban environment. I would like to think that the support that I have given, big or small, has benefited someone somewhere." 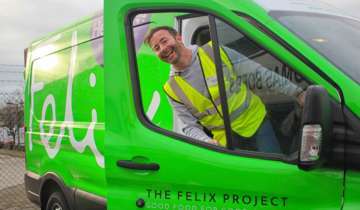 "We’re a company that works with every seasonable product that’s available in this country, and The Felix Project come every morning to collect our food surplus"
"We love the Felix Project. Without the fresh produce, it would limit the service we could offer our guests quite significantly." 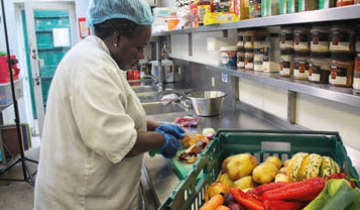 "Nutritional foods have always been very important for people with HIV. Now having the Felix Project means we can have a wide variety and range of meals every day."